X-Plane 11 [Official Site] is the next version of the advanced flight simulator and the system requirements are now up. It looks like it needs a large amount of RAM, but other than that you won't need the best system. For Linux support, they don't support specific distributions. They do note that their developers have successfully run it on Ubuntu 16.04 and 16.10. They also note only the proprietary drivers for AMD and Nvidia are supported, they outright do not support Mesa right now. It's due this month, but they haven't given an exact date yet. Graphics do not look sooo beautiful for such a demanding game. I have the system requirements (except for my CPU which may be stronger but unsure as it is an i7-4790) but well, I'll wait a bit before buying it. The minimum requirement is 8 GB of RAM, still quite a bit for a game, but probably low enough for most people. melkemind The minimum requirement is 8 GB of RAM, still quite a bit for a game, but probably low enough for most people. I was about to contest that, then I checked Steam's Hardware & Software Survey and it shows over 50% of surveyed users have at least 8 GB of RAM. Considering only Linux OSs, I see almost 1/3 of surveyed users with 12 GB or more. What the heck, guys, are you gaming on server machines? Now someone needs to make X-Plan 11. That sounds like just the kind of campy sci-fi adventure game I want to play. 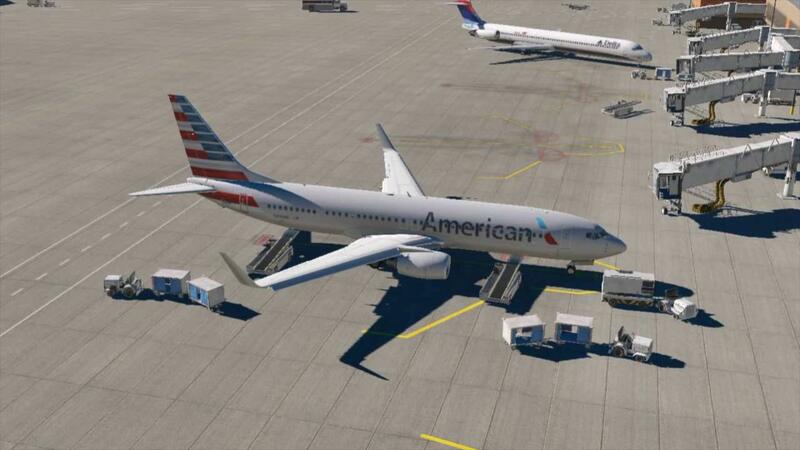 X-Plane is very difficult to compare to other games in terms of requirements. For one, it greatly depends on what you put in it. I put 24 GB in my machine just for X-Plane. And while testing some very high density meshes for the Alps, I managed to run out. But if you have the computing power, you can do it. X-Plane is a pretty open platform. Which is good for flexibility, but completely impossible to optimise in the same way that games do it. Higher specs are the result. wtf with this system requirements? are they making an game with WebGL runing on a browser inside an virtual machine writen in java? Whoa those recommended specs are a huge step up from the minimum..